Highly Commended for the MPLR! Normally this Diary is only used to write about ‘news’ about the happenings in and around the MPLR and its staff, but we hope that you will forgive us for not sticking to the ‘story’ this time. 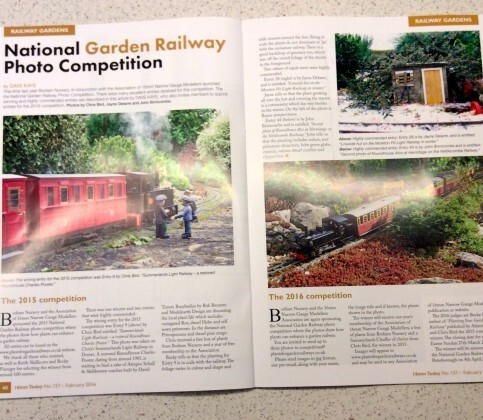 Last year we entered The National Garden Railway Photo Competition, it was a last minute decision and we chose 3 photos from the website we had taken over the years. 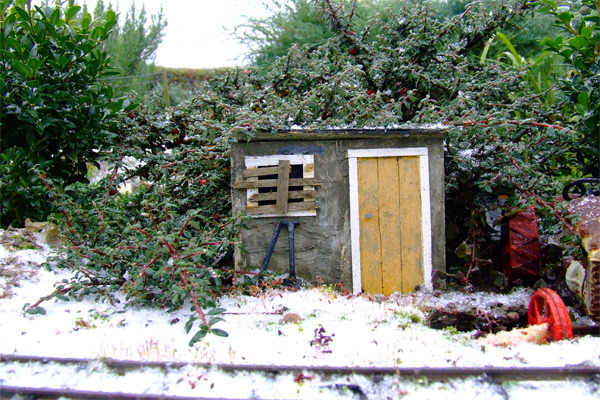 The idea of the competition is to show how the choice of planting can enhance a garden railway. 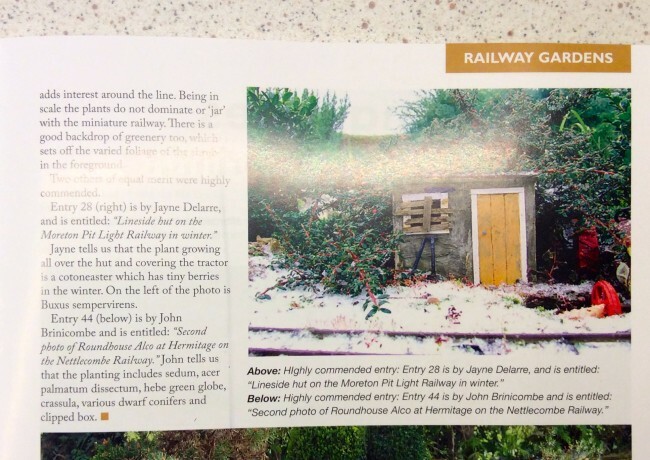 We heard recently that we had been awarded ‘Highly Commended’ and had been asked to provide the original photo so that it would be better for publication. Unfortunately we could not find it but they printed it anyway and it still looks pretty good we think! We are very proud to have been awarded Highly Commended and thought you might like to see the magazine! And here is the original photo….